Фотобанк Rusmediabank – лицензионные Фото, Видео, Музыка - Two girls friends preparing dinner in a kitchen concept cooking, culinary, healthy lifestyle. 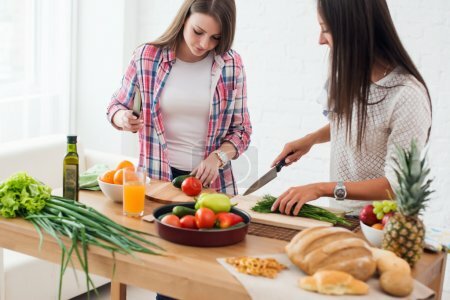 Two girls friends preparing dinner in a kitchen concept cooking, culinary, healthy lifestyle. XL 6010 x 4011px 15 Mb.